You can now really have a ridiculous amount of fun playing live without a ridiculous amount of gear. That’s certainly the sense I get with Roland’s Boutique series, among other recent entries. In just a fraction of the size of the original AIRA, you can add a synth, a bassline, or a drum machine. And it’s not just Roland. 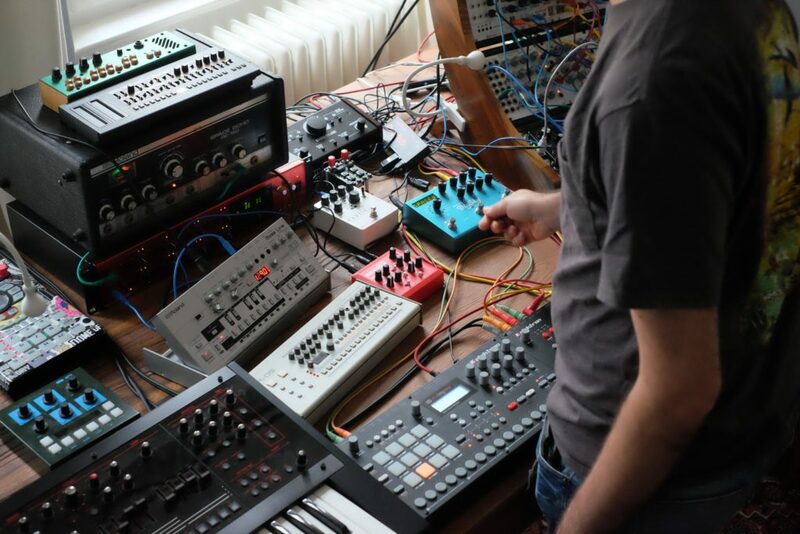 In the under-$500 category, there’s loads of desktop gear from Korg, Waldorf, MFB, Novation, and Arturia, plus even compact modular/semi-modulars like the Make Noise O-Coast and Moog Mother-32. It’s all affordable, and all really easy to port around. What I like about the new Roland Boutique generation is how quickly and compactly you can cover the basics. 303, plus delay/reverb – done. Just like the AIRA TB-3 before it, part of the fun of the TB-03 is that it’s both a sequencer and a synth. The 03 and 09 on their own are a little vanilla, so to this combination we added our own MeeBlip triode. Run a MIDI out from the TB-03, and the 03’s internal sequencer doubles as a sequencer for the triode. I have to admit, I was doubly inspired after seeing Octave One use doubling to great effect in their live set with some original 303s and our original MeeBlip SE. The advantage: bass line variety. Switch between the sound of the MeeBlip and the TB-03 with their respective volume knobs. Crank the gritty guitar-style resonance on the triode or the squelchy acid resonance on the 03 for extra color. Or turn up volume on both up for some stacked bass (especially now with the triode’s sub oscillator providing extra low end). And even stock classic 303 patterns suddenly sound new. The TB-03 remains the Boutique Series unit I’d buy first. Some particular details make this work. First, that Drive is essential: turn it up a little to make sure the filter doesn’t make the unit too quiet, or turn it up a lot to dirty up the sound. Second, the reverb/delay really shines (you’ll hear me shamelessly abusing the delay, of course, in this video). And third, the two new sequencer modes are really handy. It’s not the easiest sequencer in the world to use, but it’s also easy to make some nice patterns in advance and recall them on the go. But the three together are really surprisingly nice. Honestly, after a few minutes playing with this, you could practice and make this your whole rig (though I’d be tempted to add one more synth). And I think honestly that’s all really a revelation. You’ve got the ability to toss together a whole rig in a backpack you can get through security. For the Boutiques, you’ll have to try your local dealer. I hear it’s possible to grab them in the US and Japan but a lot of places are sold out, and Europe is tough. If you want MeeBlip, let’s give you a little extra: add code PLUGGEDIN to your cart and you’ll get the MIDI and audio cables you need, for free. That’s on top of some extended sale pricing for the holidays, and we have fast shipping options for America and international alike. But do have some fun making live techno. This is really better than only talking politics all day. 😉 Everybody needs a techno break now and then.